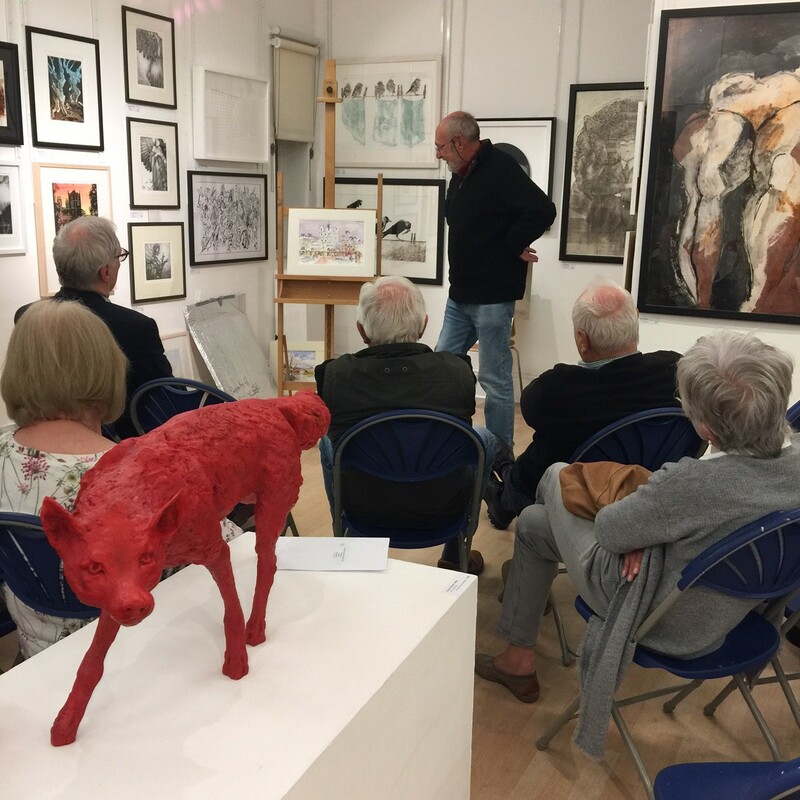 Another interesting and educational meeting once again yesterday evening at the RBSA, with recent paintings and sketches displayed by members, Shirley Bonas, Nigel Priddey, Bob Swingler, Ron Law, Peter Richmond, Brian Garbett , Mike Thompson & Ennis Burnett. In addition, members new programme books 2017/2018 were handed out, these will be posted out to all members in the next few days. International Members books are already on the way to you. some images from yesterday’s meeting. 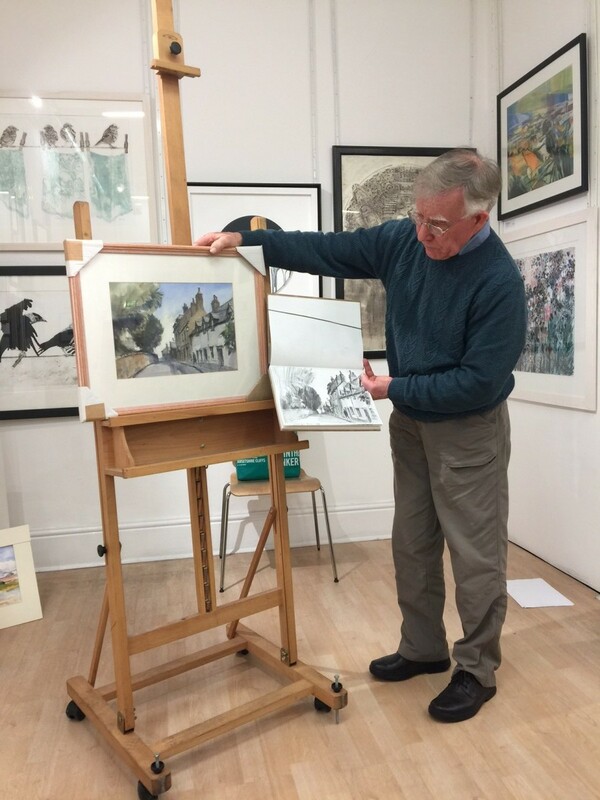 Ron Law, with his sketch and finished painting of the Village of Brewood. 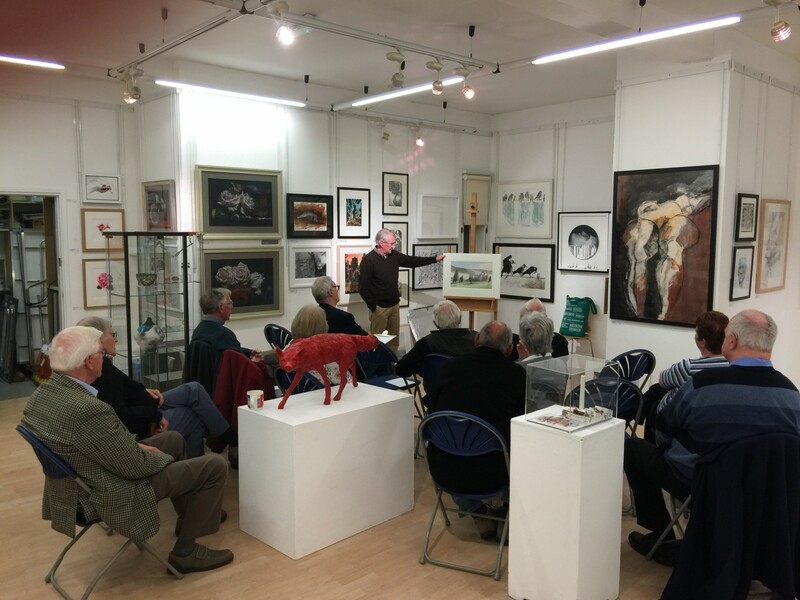 Tony Taylor, displaying some pléin air paintings from his recent visit to India. He explained they were carried out sitting on the pavement surrounded by many interested onlookers!